Amazon is trying to make it easier for indie game developers, writers, and now script writers with its new Amazon Storyteller tool. For potential script writers sending their television tome or silver screen script to Amazon Studios for consideration. What Storyteller does is scan the script and turn it into a storyboard using stock characters, items, and backgrounds. Writers can also upload their own images for the storyboard. Amazon stated that Storyteller mainly works with romantic comedies and contemporary dramas, but it’ll likely work with just genres with as little exaggerated action and defined scenery as possible. It is possible to do complex shows using whatever they have available if the script’s scenes are detailed enough. Storyteller might not capture everything in your scene—or even most of it—but it beats paying someone to do your storyboard or sitting down and drawing up the whole thing yourself. Amazon Storyteller should make it easier for writers to get their work read and visualized, something that is a problem at times without a storyboard to see what goes where and how the scene comes off without having to be hyper detailed for a scene. Also, by making the script writing process easier and more accessible, it would allow for Amazon to have an even greater wealth of potential material for Amazon Studios to produce shows for their Amazon Instant Video service. It’s really a service that competitor Netflix could possibly jump on if it means cutting out higher priced, name script writers and just going with hungry undiscovered writers and making use of their work. Just from initial impressions, it works for all parties involved. 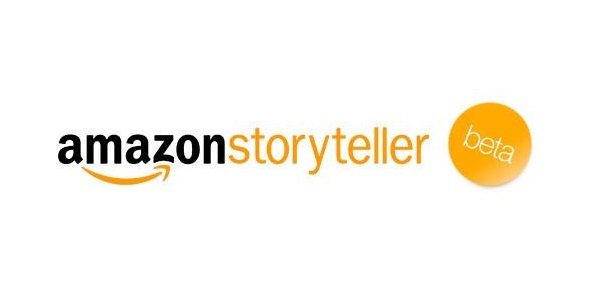 For aspiring script writers—and even our readers who have written scripts—will you use Amazon Storyteller?